Some back-story: Ever hear the phrase “SNAG”? It stands for Sensitive New-Age Guy and is a word (often used in jest) to describe men who are in touch with their feelings and sensitive to the emotional world, as opposed to being all hard-edged, problem-solver types who don’t hug and all that other stuff. I’ve been described as a SNAG both as a compliment and an insult, and there are times when I just run with it or use it for humor. Doesn’t really matter, but it does dovetail into my quest to be a Trophy Husband (which is shorthand as well, but that’s for another post….) My SNAGiness is what got me to check out this title. That’s the why. Now for the book and what I learned. His thesis is as follows: Many marriages fail for a pretty simple reason. The couple doesn’t realize that they are speaking different Love Languages to each other, and one speaks in a language that the other doesn’t hear. Distilled to the more general case, one gives in a way the other doesn’t want to receive, and/or vise-versa. Maybe want isn’t the right word. Appreciate might be better. Pretty self-evident when it’s written down. In fact, it might even seem overly simplistic AND obvious. But it’s a framework that one can entertain and ponder. So let’s do that and proceed. He then goes on to describe that marriages go from the “In Love” stage (that lasts from a short time to about two years, on average, some longer, some shorter) to the sustaining stage. And he further goes on to say that for many, the “In Love” stage isn’t always a choice, it just happens, a connection, a bond, a feeling exists, and that if one is lucky, is returned, a connection grows, and a couple has that blissful happy time where all that matters is the partner, one is obsessed, often to the possible detriment of other commitments (I can’t focus at work, school, whatever….) In fact, Gary equates this obsessive phase more with an addiction than a healthy foundation of a relationship, but I think that might be a different book! In the case of marriage, some may even get engaged while in this heady time, and when it’s over, are left holding a very different emotional bag. This is the time when speaking the wrong love language usually rears its ugly head, and things start to go south (now, this isn’t universally true, and maybe I’ll get to this later…..) But for whatever reason, the nature of the relationship changes, and for the marriage (or friendship) to last, it has to evolve to a new place, a new way of being together, that is lasting and sustainable. I found myself agreeing here, as often I’ve had trouble with this very transition, and, at least for me, the addictive phase hasn’t been so trustworthy a gauge of what relationships have lasted, and which have not. In fact, I was so bad at managing this transition, that I pretty much knew that if the addictive phase was really, really strong, I was doomed to long-term failure! But my personal challenges weren’t the point of the book (at least not directly), so I’ll leave this line of thought behind and move on…. So, what are the five Love Languages? Well, here they are! Before I get into each of them, it’s good to keep in mind that these are over-generalizations, and that most people not only speak more than one language, but that, as Gary puts it, each language may have dialects! I’m not sure or not if this is pushing the analogy too far, but once again, let’s just roll with it and see where it leads…. Words of Affirmation. These are basically compliments. Things like: “You look sharp in that suit.” Or “you can always make me laugh,” or even “I like your cool leather jacket. You look fit.” Anyway, there are some that really eat this stuff up, the comments are like hot air into a balloon, it rises up, held aloft for hours, days or even longer! Quality Time. I like to think of this as undivided attention or shared experiences. It rang a couple of bells with me…. Here’s a story from my marriage. Often, when at home, and I’m talking to Cheryl about something or other, she gets up, saying “I’m still listening” while she does some minor chore around the house. Sorting mail, putting in the kitchen, whatever. It’s never that involved and often useful or required, but the act grates me like fingernails on a blackboard! It really bothers me that she chooses to divide her attention, and even if I’m more than willing to admit that the subject of conversation doesn’t really demand full attention, that doesn’t matter, and I get resentful. Often, I’ll just stop talking, thinking “if it’s not worth her full attention, it’s not worth ANY attention!” In reflection, it’s a petty, juvenile reaction… Even I have to admit that….. But anyway, Quality Time is one of the languages that I found held significance for me personally, in case you’re taking notes! Receiving gifts. Pretty obvious, some people LOVE gifts. That unexpected card, the flowers brought home from work. The gifts given to kids after a parent returns from a trip. We can all think of the gifts we’ve given and received that were unexpected and can think of the surprise and appreciation that the gifts created. Or not, if the gifts seemed to have little or no impact, that’s a big hint that receiving gifts isn’t a big thing for your partner! Acts of Service. A loose translation is mostly chores. Cleaning the house, the car, the yard. Doing bills or recycling or cooking. These are the acts of providing effort to do the things that must be done. Often chores, but sometimes not: Helping with a partner’s cause or friend. Things that require effort either because they are the stuff of everyday life, or provide little direct reward. When someone comes home from work to find that the house is clean, or dinner is cooking and the house smells like a home because of the scents of what’s to be had for dinner. For some, these weave the fabric of life together, forming a tighter binding that breeds a feeling of security and connectedness. Physical Touch. Pretty obvious here. From the hug to the hand brushed on a shoulder as one walks by to the intimacy of making love, some thrive from contact. Many respond to this one, especially in marriage, as one of the perks and pleasures of the pledge of a shared life is physical intimacy that is made even more so by emotional investment. Funny story here. I was talking to Cheryl about the themes in the book, but had only gotten so far as to have read about the first four languages. When I asked her what she thought her primary one was, she said “personal contact!” I replied that that wasn’t one of the four choices that I’d listed… Then I read on, and surprise, surprise! Cheryl is very wise. Oddly, the book was only half way done when I’d gotten to the end of the five languages. WTF? Wasn’t it over? There are a few more points that are in the book, and he also spends some time on techniques to find one’s primary love language. That said, there are a couple more points that bear discussion.…. Asking vs demanding. One couple really responded to acts of service, but their interaction had decayed into mutual demands. “Why isn’t dinner ready when I’m home from work! The house is a dump! What do you do all day?” “Why are you always going out? Can’t you see we have stuff we have to do at home? The grass is so tall that I’m embarrassed to go out. What do the neighbors think?” They’d turned their relationship into a war-zone, with each one using failed acts of service as darts that they threw at each other’s heart. And they both exaggerated to make their point better, triggering defensive stance after defensive stance. Gary hits the following theme over and over: Love can be requested, but not demanded. To request is to create an opportunity for giving, to demand is to place a forced obligation. Gary’s point is that unlike being in love, creating love is a choice. It’s a subtle distinction, and a very important one. It has its merits. In there is one thing that the reader should take away from the book or this review, it is this thought! I’ve always asked those that have had failed marriages if they’d married the wrong person or they’d grown apart. About half say that they’d grown apart. That’s sad. It means that if they’d chosen a bit more inward focus, some if not all of the marriages wouldn’t have failed. I can’t help but wonder how many had the seeds of failure planted by those crappy Disney movies! They reinforce that love is the in-love stage, and ignore the love is a choice reality. I friggin’ hate that! My wife and I started dance classes (For those that have seen me dance, they know why I need the help!) One lesson, I went to the back room where the water cooler is located. There was a couple working really hard on their first dance. The stress was apparent. I asked what they were working on. The woman said that they were getting married in just a couple of days and still didn’t have their first dance down. They wanted it to be perfect. She was obviously stressed that it wouldn’t go well, that the perfect day would elude her. She and her husband-to-be were not having fun at all. I said “Congratulations! My wife and just had our 16th anniversary. I’ll let you in on a little secret. Your wedding day doesn’t have to be perfect. The caterer may drop your wedding cake. You might step on each others feet throughout your first dance. One of the guests may get drunk and cause a scene. But you know what? No matter what happens on your wedding day, perfect or not, you will wake up the next day married. That’s what my wife and I celebrated. That’s what we celebrated on our 16th anniversary. Don’t stress so much on perfection, look forward happily to waking up married.” For the first time, I saw them smile. (It wasn’t the first drink of water I’d gotten, it was hot in the dance studio that lesson.) The stress evaporated. The wife-to-be looked relieved and they thanked me for the new perspective. I’d seen, and hopefully saved, another couple held captive by the “perfect wedding” trap. But to be fair to Walt, I don’t know if they’d learned it from Disney movies… See, I am a SNAG! Digression over…. The Odd Cases. There are some cases that Gary discusses that don’t fit into the books flow, and he has a chapter or two about them. One is what to do when one partner wants to work on improving the marriage and there are a couple about effort and discerning other’s love language (personally, I’m not into the “love language” metaphor. I get what it means and understand its thrust, but I find it an awkward construct when used to discuss friendships or things other than marriage) when they aren’t “into” the whole game of figuring this stuff out or get stuck and can’t figure what their primary language is. Only one wants to play the game. Here, Gary gets all biblical. Starts quoting some passages from the new testament by either James or Luke. Some of this is because of his return to Christianity, some because of an example he uses where the one that wanted to work on her marriage was very religious. But what it comes down to if one really wants to effect change in the relationship, lead by example. Just start on one’s own and plow ahead. He rests this premise on the assumption that if one behaves differently towards another, eventually one will get a different response. That is, to create change, be change. I think it’s a pretty sound strategy, but to my mind, there is no guarantee that leading by example will always have the other person follow down the new path. (I tried this one in a past job. The company’s sales conversion were stalled. I, having been in other organizations that had managed this transition successfully, tried to tell my co-workers and superiors how to get past this roadblock, only to be ignored. No, I hadn’t invented the better way, I’d just learned it from people better at it than I. I lead by example, I demonstrated success, but no one else picked up on what I was doing differently. Leading by example doesn’t always work.) But since the other choice is giving up, if one really wants the relationship and wants it to improve, what choice does one really have? Giving up guarantees failure, leading by example at least creates the possibility of success. The primary Love Language can’t be found. When I thought about my primary language, I quickly came to two: Quality Time and Acts of Service. But figuring out what is my primary driver took some deeper thought. Ever hear of active listening? This is when one really thinks about what one hears, and tries to understand it on many levels. A bit of a digression here. At a seminar I was introduced to the concept of listening to the words behind the words. Personally, I’ve found this to be a pretty powerful way to avoid some friction. Here’s how it works: Often, when we talk to someone, usually someone close, we trigger an unwanted response. “I wish you wouldn’t blah blah blah.” There are zillions of things that can be the blah blah blah. Usually the word sound like nagging. So, if Cheryl said “I wish you wouldn’t drive so fast” one of the motivators for saying that could be that she wants me to be safe and not take useless risks because she cares about me and wants me whole. While this is a pretty trivial example, I’ve often found that many things that would annoy if I just listened to the words spoken were really motivated by concern and care. Understanding this has really helped me react defensively a lot less frequently. If this is a technique you’ve never tried, work with it and see if it works for you too! It takes a little effort to learn, but I’ve found it’s pretty easy after a while. Enough with the digression! The techniques used to figure out the hidden primary language are a bit like listening to the words behind the words. Listen to complaints! Often, the need that is neglected creates the motivation to criticize or complain. A spouse that says “You’re never here and when you are you’re always working!” This is a flag that the complainer wants more quality time, when the complainee may be offering Acts of Service by trying to be a good provider. Sometimes it can be even easier, and just listen to the words. A spouse that says “You work so hard. Could you try to spend a little more time with me and the kids?” Yes, this is the same example, just phrased as a request, not a complaint. And just as above, the requesting spouse is asking for more Quality Time, even while acknowledging the Acts of Service. There are also some checklists and worksheets to help the reader discern their own primary language. A particularly interesting case Gary discusses is when the relationship is already very happy! Whatever the couple is doing is working well, and one can’t use complaints as a back-door way to figure out what are the significant unmet needs. While an interesting case, one has to wonder what benefit this couple would get from the book. If it ain’t broke, don’t fix it! I thought I was all insightful figuring out that this framework could be used for relationships in general, proud that I’d gone farther than the author, but alas, that’s not the case. 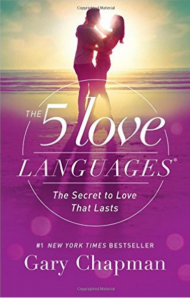 One of the books in his franchise is “The 5 Love Languages for Singles” aimed at just this group! But since I haven’t read it, I don’t know if it’s for the dating singles or the generalization that I envisioned early in my reading. What about the other four languages, the non-primaries? This is mostly my thoughts, though they are touched on in the book a bit. Earlier on, I mentioned that this was an idealized framework that one could consider and work from. And while I don’t think it’s perfect, it does have its merits. But the other four languages are not just wastes of time. Someone who values touch but is far away needs to be loved in a different way than one that shares a roof. So maybe a text message about touching a face or a card that mentions spooning might remind the recipient of contact. Or for me, while I love quality time, my wife or kids doing something like cleaning a messy room really, really makes me happier, and them NOT doing that (like the kids being on screens in a bedroom that looks like a tornado has hit) really grates on my nerves. So it seems to me that ALL the languages can be used to express love and consideration. But what I’ve noticed is that sometimes they are counterproductive. So when I’m all pissed and frustrated about something and concentrating hard, Cheryl often gives me a hug (remember, she’s a Physical Contact primary language) it just distracts me, breaking my concentration and really pisses me off. Then I think about her motivation (if I’m on my game, that is) and understand she’s just expressing concern and wanting to make me feel better when I’m obviously not in my happy spot. But if I’m off my game, I get more moody. So it seems to me that all the languages can be used to good effect, just the chance of an expression of love or concern has a higher probability of missing its mark when it’s one of the less important love languages. Another thought that occurred to me: What is primary in one relationship may not be primary in another. This isn’t really a marriage issue, more of a general relationship issue. As an example, my wife and I are really good on Quality Time. 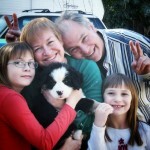 We do many things as a family, or as a couple (like taking dance lessons! ), but we could both do better in Acts of Service, as we don’t maintain the house the way we really want. But I also have a friend who is very busy. From this friend, I’d really appreciate more Quality Time. I haven’t fully developed this line of thought, but I think I’ll spend some time pondering it. Because the focus of the book is only on the marriage, Gary gets away with not discussing this at all. Only my attempt to generalize the framework makes it a relevant question. Thinking back to past loves, friendships lost and relationships strained, I do wish I’d been more in tune to this framework when I was younger. Maybe things would have been different, maybe not. I’m pretty sure that being more in tune to any of my past friends and partners could have done nothing but improved the quality of the relationships. But one can’t change the past. The good news is, one can learn from it. I’m a thinker, and there are times when I reflect on the past. There are many examples that come to mind where these tools and techniques could have had a positive impact on the decisions I’d made, the failures I regret. Thank you for this fantastic review. I surely like the way you write.After i found your review i started searching and found the book on http://www.allbooksreviews.com/book/929862222/the-5-love-languages . Now i almost finished the book and i I consider The 5 Love Languages is a fantastic book and i recommend everyone to read it. Not sure if i am allowed to leave a link(sorry if not) but anyway the book is awesome and also your book review.